In November 2017, the Genoa for Yachting cluster was formed by a group of 27 professional boating companies to add a new dimension to the historic naval and seafaring traditions of the Ligurian capital. 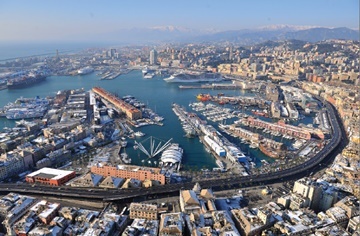 The aim of the group – to establish yachting as a strategic part of the city’s economy – is influenced by its popularity with nautical tourists and its superyacht potential. For around eight months a year, the city hosts around 290,000 boating visitors and an average of 1,200 crew members. The city has several important shipyards and three key marinas, two of which have berthing for yachts over 100m (328ft) in length.